Indian Medical Association (IMA), established in 1928, is the only representative, national voluntary organisation of Doctors of Modern Scientific System of Medicine, which looks after the interest of doctors as well as the well being of the community at large. IMA constituted the Hospital Board of India – (IMA-HBI) with the objective of helping the hospitals in preparing the medical standards, providing uniform treatment, addressing Human Capital related issues pertaining to the Healthcare Industry and improvement of public Health and Medical Education in India. With a realization that improvement of healthcare infrastructure across the nation is critically dependent on the availability of trained and skilled personnel in Healthcare Administration and the acute shortage of skilled manpower with experience and exposure to best practices in Healthcare Administration, the requisition of a structured and directed training program exclusively for Healthcare professionals became imperative. 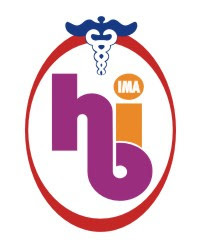 To address the acute shortfall in the talent pool, in a pioneering effort, IMA-HBI has partnered with Indian institute of Learning and Advanced Development (INLEAD) to jointly create, administer and certify an exclusive training Program for Healthcare Administration professionals. The alliance is aimed at bringing together the expertise of veterans from the Healthcare and professional education Industry to jointly create a comprehensive training PG Diploma program deliberated as per the requirements of Healthcare industry and delivered with latest and contemporary pedagogic methodology. The alliance has resulted in Post Graduate Diploma in Healthcare Administration: An exclusive program providing valuable training to graduate students transform their human potential to gainfully employable human capital with a high investment index helping them being gainfully employed in the Healthcare Industry. IMA-HBI will ensure 6 months of professional exposure to the participating students with on-job training assignments at IMA-HBI affiliate Hospitals dealing with more real-life situations than mere pedantic teaching in the classroom. The program will be facilitated by a team of specially selected faculty, senior academicians with industry experience, recruiters and successful Healthcare Administrators with relevant academic exposure. Together, they will have the authority of theory and practice to deliver the demanding curriculum.